WE NEED YOU! 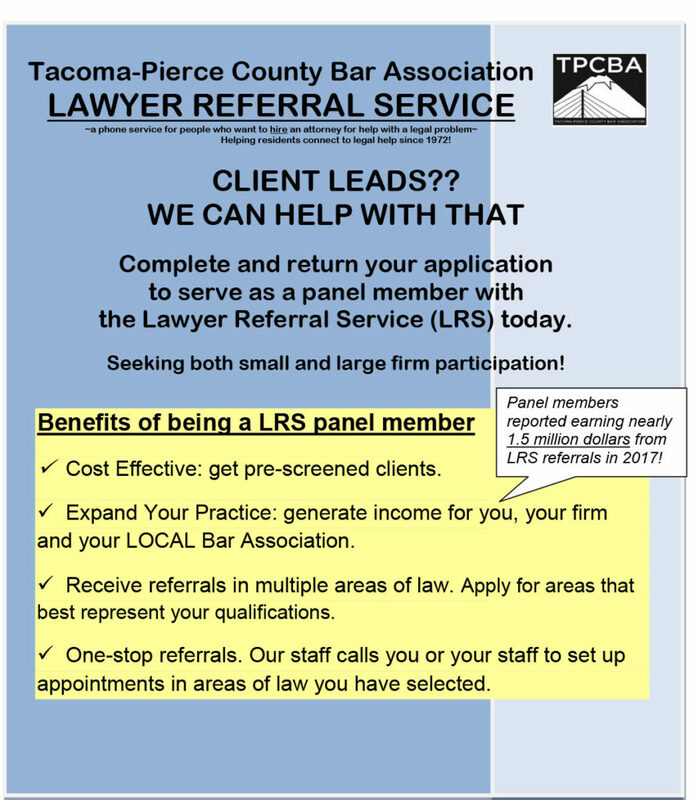 TPCBA’s Lawyer Referral Service is looking for Panel Members. Accepting Applications NOW!